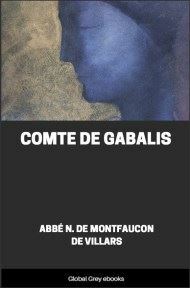 This is the only book attributed to the mysterious, supposedly immortal Comte St. Germain. 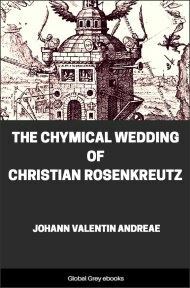 The Trinosophia is an allegorical account of spiritual initiation, similar to The Chymical Marriage. A very rare occult book. 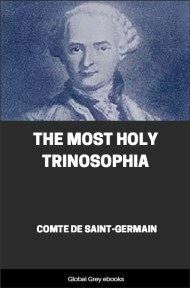 THE GREAT ILLUMINIST, Rosicrucian and Freemason who termed himself the Comte de St.-Germain is without question the most baffling personality of modern history. His name was so nearly a synonym of mystery that the enigma of his true identity was as insolvable to his contemporaries as it has been to later investigators. No one questioned the Comte’s noble birth or illustrious estate. His whole personality bore the indelible stamp of gentle breeding. The grace and dignity that characterized his conduct, together with his perfect composure in every situation, attested the innate refinement and culture of one accustomed to high station. A London publication makes the following brief analysis of his ancestry: "Did he in his old age tell the truth to his protector and enthusiastic admirer, Prince Charles of Hesse Cassel? According to the story told by his last friend, he was the son of Prince Rakoczy, of Transylvania, and his first wife, a Takely. He was placed, when an infant, under the protection of the last of the Medici (Gian Gastone). When he grew up and heard that his two brothers, sons of the Princess Hesse Rheinfels, of Rothenburg, had received the names of St. Charles and St. Elizabeth, he determined to take the name of their holy brother, St. Germanus. What was the truth? One thing alone is certain, that he was the protege of the last Medici." Caesare Cantu, librarian at Milan, also substantiates the Ragoczy hypothesis, adding that St.-Germain was educated in the University at Sienna. In her excellent monograph, The Comte de St.-Germain, the Secret of Kings, Mrs. Cooper-Oakley lists the more important names under which this amazing person masqueraded between the years 1710 and 1822. "During this time," she writes, "we have M. de St.-Germain as the Marquis de Montferrat, Comte Bellamarre or Aymar at Venice, Chevalier Schoening at Pisa, Chevalier Weldon at Milan and Leipzig, Comte Soltikoff at Genoa and Leghorn, Graf Tzarogy at Schwalback and Triesdorf, Prinz Ragoczy at Dresden, and Comte de St.-Germain at Paris, The Hague, London, and St. Petersburg." 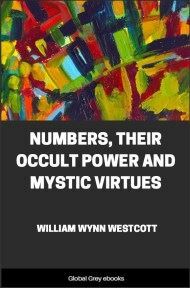 To this list it may be added that there has been a tendency among mystical writers to connect him with the mysterious Comte de Gabalais who appeared to the Abbe Villiers and delivered several discourses on sub-mundane spirits. Nor is it impossible that he is the same as the remarkable Signor Gualdi whose exploits Hargreave Jennings recounts in his book The Rosicrucians, Their Rites and Mysteries. 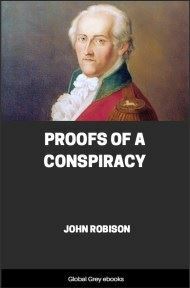 He is also suspected of being identical with Count Hompesch the last Grand Master of the Knights of Malta. In personal appearance, the Comte de St.-Germain has been described as of medium height, well proportioned in body and of regular and pleasing features. His complexion was somewhat swarthy and his hair dark, though often powdered. He dressed simply,' usually in black, but his clothes were well fitting and of the best quality. His eyes possessed a great fascination and those who looked into them were profoundly influenced. According to Madame de Pompadour, he claimed to possess the secret of eternal youth, and upon a certain occasion claimed having been personally acquainted with Cleopatra, and at another time of having "chatted familiarly with the Queen of Sheba"! Had it not been for his striking personality and apparently supernatural powers, the Comte would undoubtedly have been considered insane, but his transcending genius was so evident that he was merely termed eccentric. From Souvenirs de Marie Antoinette, by Madame la Comtesse d’Adhemar, we have an excellent description of the Comte, whom Frederick the Great referred to as "the man who does not die": "It was in 1743 the rumour spread that a foreigner, enormously rich, judging by the magnificence of his jewelry, had just arrived at Versailles. Where he came from, no one has ever been able to find out. His figure was well-knit and graceful, his hands delicate, his feet small, and the shapely legs enhanced by well-fitting silk stockings. His nether garments, which fitted very closely, suggested a rare perfection of form. His smile showed magnificent teeth, a pretty dimple marked his chin, his hair was black, and his glance soft and penetrating. And, oh, what eyes! Never have I seen their like. He looked about forty or forty-five years old. He was often to be met within the royal private apartments, where he had unrestricted admission at the beginning of 1768." The Comte de St.-Germain was recognized as an outstanding scholar and linguist of his day. His linguistic proficiency verged on the supernatural. He spoke German, English, Italian, Portuguese, Spanish, French with a Piedmontese accent, Greek, Latin, Sanskrit, Arabic and Chinese with such fluency that in every land in which he visited he was accepted as a native. "Learned," writes one author, "speaking every civilized language admirably, a great musician, an excellent chemist, he played the part of a prodigy and played it to perfection." Even his most relentless detractors admitted that the Comte was possessed of almost incredible attainments in every department of learning. Madame de Pompadour extols the genius of St.-Germain in the following words: "A thorough knowledge of all languages, ancient and modern; a prodigious memory; erudition, of which glimpses could be caught between the caprices of his conversation, which was always amusing and occasionally very engaging; an inexhaustible skill in varying the tone and subjects of his converse; in being always fresh and in infusing the unexpected into the most trivial discourses made him a superb talker. Sometimes he recounted anecdotes of the court of the Valois or of princes still more remote, with such precise accuracy in every detail as almost to create the illusion that he had been an eyewitness to what he narrated. He had traveled the whole world over and the king lent a willing ear to the narratives of his voyages over Asia and Africa, and to his tales about the courts of Russia, Turkey and Austria. He appeared to be more imtimately acquainted with the secrets of each court than the charge d’affaires of the king."